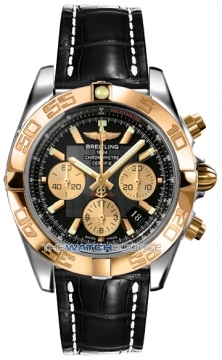 Breitling was founded in 1884 by a man by the name of Leon Breitling. He was an exceptional watch maker who produced chronographs for a number of different sectors including sport and industry. The founder’s son Gaston Breitling took over the running of the company and continued the pursuit of improving the chronograph movements Breitling became famous for. It was 1915 that saw the first Breitling wrist chronograph and in 1923 Breitling improved the chronograph immensely by separating the start / stop functions from the resetting function. In World War II Breitling supplied onboard chronographs to RAF war planes. This meant that multiple times could be added on the watch. In 1960 Breitling produced the Navitimer, a watch that would remain in production for another 60 years and which found favour with pilots around the world and in turn became the world’s oldest mechanical chronograph in production. The Breitling Navitimer enjoyed many unique and famous moments such as being worn by Scott Carpenter in 1962 on his space mission. 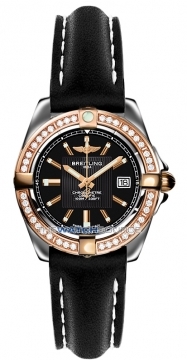 Breitling's innovation can be seen in its space watches. In space 12 hour watches were seen as inadequate because of the lack of night and day, and Breitling solved this problem by producing a 24 hour watch. Also in the sixties Breitling chronographs became the standard on board many planes when the aviation industry experienced a boom. 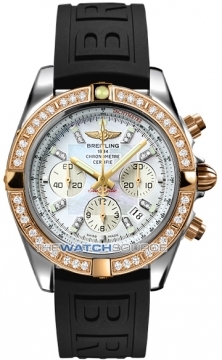 Because of this Breitling watches earned the title “official supplier to world aviation”. In 1969 Breitling produced the first self winding chronograph which earned it massive respect both within and outside the watch industry. 1984 saw the release of the Breitling Chronomat which became one of Breitling’s most popular watches. Breitling is the only watch brand to certify all of its watches with COSC certification, the highest award for accuracy. Breitling has built a special facility in Chaux-de-Fonds called the Breitling Chronometrie which is devoted to the development and production of mechanical chronograph movements. 2009 saw the launch of the Caliber 01 movement, Breitling's latest and most accurate in house movement. 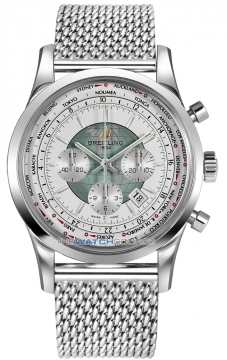 Recently Breitling has partnered with Bentley to produce the Breitling for Bentley range of watches which are modelled on the dashboard of a Bentley car. Another famous Breitling watch is the Breitling Emergency which when the crown is unscrewed on emits an emergency beacon. This feature actually saved the life of someone stranded proving how useful and innovative this watch is. Today Breitling watches are known worldwide by the slogan "Instruments for Professionals" and Breitling has partnered with many elite pilots throughout the world while at the same time having their own Breitling jet team and sponsoring many famous air races throughout the world.